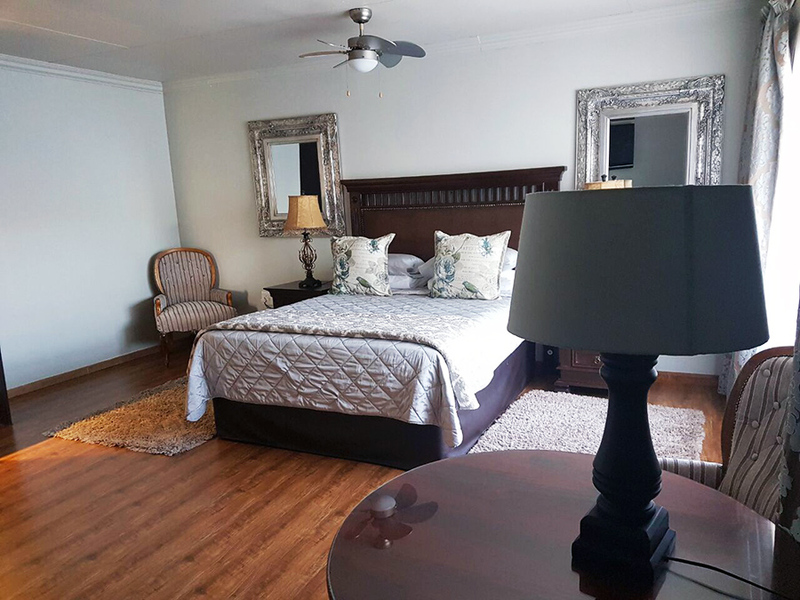 Each of Destiny Lodge Cullinan 17 En-Suite Rooms are individually designed and decorated with your comfort in mind. All rooms are fully equipped with TV/DSTV, Bar Fridges, Coffee and tea stations, Ceiling fans, Welcoming Carafe of Sherry to make you feel at home. 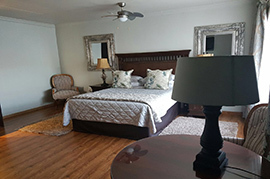 All rooms are private with entrances from the tranquil garden and offer our guest private veranda’s overlooking a sparkling swimming pool to relax, smoke or enjoy a sundowner while enjoying the sunset. Destiny Lodge can accommodate up to 45 guests sharing. 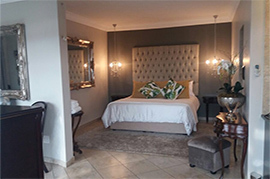 This room is ideally suited for the Romantic breakaway, anniversary, or discerning business traveller. Equipped with an over sized shower, Air Conditioner, Filter Coffee facilities, Bar Fridge, Satellite TV and DVD Player, this suite caters for all your needs. 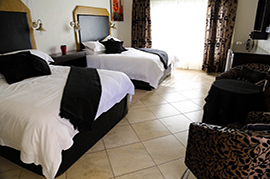 The Executive Suite is especially ideal to the Anniversary Couple or Romantic Breakaway. 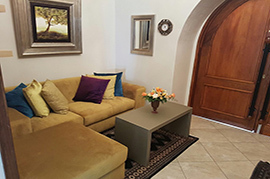 Our staff will assist the couple to ensure a romantic atmosphere in the Executive Suite. Upon request, we can arrange for Fresh Fruit and Cream, flowers, Sparkling Wine / Champagne. 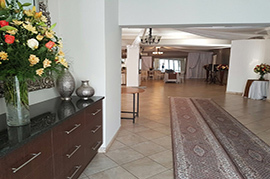 Please make sure to arrange the above optional extras with Reception when booking the Executive Suite.